A scenic 2 1/2 miles, along beautiful Resurrection Bay, brings you to magical Lowell Point and a home or two all to yourselves. We are across the street from Resurrection Bay with beach access on either side. Beach House Rentals has 3 houses each with 2 bedrooms, a queen sofa bed, bath and a fully furnished kitchen. In addition, Beach House #1 has a sunroom with a single futon. The Treefort apartment is in a beautiful forest setting, with a queen bed, a queen futon, a climb-up ladder loft with a single mattress, a kitchen with all the amenities, and a full bath. 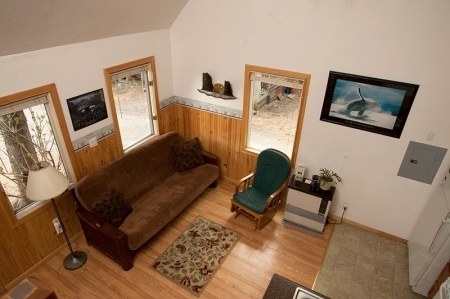 We also have an overflow cabin with a queen futon and a single mattress in the loft that sleeps 3. 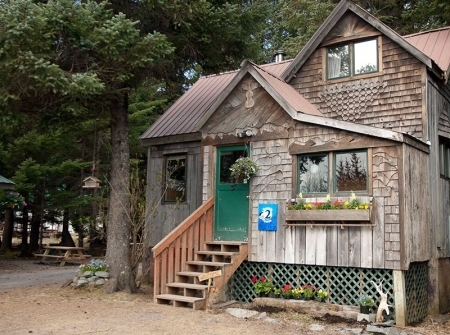 The vacation rental cabin has heat and a small refrigerator, microwave and a coffeepot. 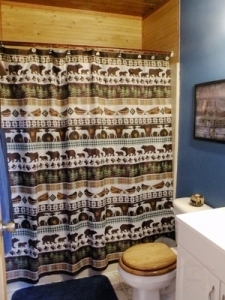 This cabin must be rented with one of the Beach House Rentals to share the bathroom. There is a barbeque pit, picnic area and a fire pit available for your use. It's an ideal location for a family or a group. *Special Off-Season Rate: $89 double occupancy + $20 per person + 3% sales tax.